Head to Macy’s where you can get $10 off a $25 purchase with coupon code SUP25 at checkout. You can use this code on men’s Polo Ralph Lauren shirts and boxers, making the shirts less than $6. 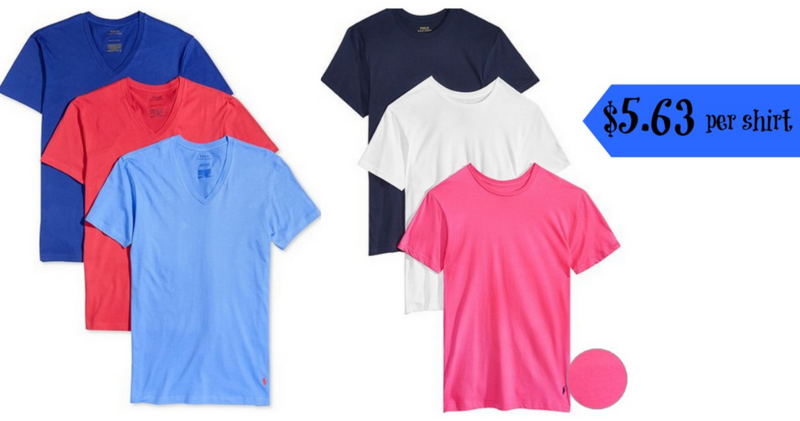 makes it $16.89 or $5.63 per shirt!